The Purple Bed offers consumers an affordable, handcrafted mattress with state of the art features and a combined foam plus hyper-elastic polymer composition and structure. Offering a satisfying medium firm feel and a unique polymer web design that keeps your sleeping surface cool, the Purple and its attractive features are making its presence known in the industry in a fast manner. Unlike all the traditional foam mattresses on the market today, Purple presents with a rounded contour very similar to that of latex, but delivers a feel and bounce that is incredibly responsive. A mattress that is soft where you want it, and firm where you need it, the Purple affords perfect spinal alignment whether you are a back or side sleeper. An attractive and very comfortable mattress that offers consumers a wide range of features and benefits, the Purple is every bit affordable as it is comfortable and its unique structure contributes to a relaxed sleep night after night. With its innovative, unique firmness and state of the art, hyper-elastic polymer material, this mattress is making its way up the charts as a conforming, contouring and comfortable mattress available at a very affordable price. Are you excited to know if this well-acclaimed combination of foam and hyper-elastic polymer materials can deliver the expected pressure relief to you and your family? Think Purple can hold up to your expectations? Check our Purple Mattress Review below! A number of bed-in-a-box startups have taken different approaches to selling their mattresses and bed ware in the last couple of years. Casper and Tuft and Needle, for instance, launched their own branded physical store locations. Mattress Firm holds over 3,500 locations nationwide but Purple will selectively sell its mattresses in 13 Washington, D.C. locations, with more rollouts to follow in Austin, Texas and Sacramento, California, depending on how the sales go in our nation’s capital. For sure, mattress companies have taken the modern advances in fabric and mattress technology and fused it with them. But it’s important to consider your sleep preference also. This in-depth Purple mattress review will help you figure out if its good fit or not. Need pressure relief. The Hyper-Elastic Polymer™ top has been scientifically engineered to provide pressure relief to any area of the body that needs it. In fact, the brand has deemed it the “World’s First No Pressure™ mattress.” This is great news for side sleepers with pressure in their shoulders and hips. Want a versatile mattress. Purple works well for nearly all sleep styles. Its structure helps with pressure relief and support while having a medium-level firmness. Couples with different styles can have a great night in the same bed. Sleep hot. The Hyper-Elastic Polymer™ grid is temperature neutral and promotes airflow. Sleep in multiple positions. Purple is one of the few mattresses that is comfortable when sleeping on the back, side, and stomach. Want an innerspring mattress. This model is not made with innersprings. However, its comfort layers provide pressure relief not found in typical innerspring brands. You like to have a memory foam feel. While memory materials are slow responding and trap in heat, Purple stays temperature neutral and its quick responsiveness helps with ease of repositioning. Want a mattress you understand. Because it isn’t pure foam, you don’t really get the feeling where the mattress envelops around you. You feel you sleep “on” the mattress, rather than “in” the mattress.it memory foam? More like a latex mattress? Definitely not spring. It’s hard to categorize Purple, which may be difficult for some shoppers. When pressing into the top of the mattress, the initial feel is of the hyper-elastic polymer. It is very bouncy and responds quickly to the pressure. If you add more weight and force to the push into the mattress you will start to feel the transition layer of foam beneath, but the polymer smart grid on top does a good job of weight distribution, so most of the feel comes from the comfort layer. When discussing the firmness of a mattress it’s important to note that people will often feel it a bit differently because of differences in size and body type. Instead of giving you other person’s opinion on the firmness level, it’s best to bring in three other testers to try the Purple as well. This should give a better sense of the firmness range you can expect out of the Purple. The result is, the testers were in general agreement regarding the firmness level of the Purple. With three 6.5/10 and one 6/10 ratings, overall the Purple falls squarely in the medium firmness level. Purple says that their grid structure distributes weight efficiently so that it is firm or soft where it needs to be, creating a “just right” feeling that goes along with its Goldilocks marketing. One thing to note about the Purple grid is that if you are extremely light you may not reach the pressure threshold to collapse the polymer columns. This would lead you to feel the mattress as a bit on the firmer side. Purple uses a raw egg test to show that their polymer is firm enough to support heavy weights while still soft enough to sink where it needs to so that the eggs won’t break. This translates to actually lay on the mattress in that it gives a bit of a contoured feel, allowing your shoulders and hips to sink in while still being supportive of the other parts of the body. For example, when I lay on the mattress I instantly noticed its ability to distribute weight evenly, helping me avoid the formation of pressure points. Strictly speaking, the Purple supported my weight in multiple positions well, while still allowing me to sink in enough for some good pressure relief. Purple does present with a rather unique firmness and feel which, on a scale of 1-10, falls somewhere in the range of a 6 to 6.5 rating. With this ideal firmness rating and the innovative design of the Purple, the mattress tends to fit the sleep requirements and needs of most sleepers which definitely contributes to its overall popularity. Consumers can get the best soft and firm with Purple’s unique Smart Grid design. Again, whether a back or side sleeper, the Purple’s top layer easily dissipates pressure between the mattress and your body thereby perfectly supporting your spine as you sleep. The mattress does a good job of supporting the overall body. For light weight sleepers (less than 130 pounds) the feel is that of floating atop the mattress with little body contouring. For medium weight sleepers (between 130 and 150 pounds) the Purple presents with a bit of a hug feeling since those in this weight class will sink just a bit deeper into the foam and polymer combination. Finally, for heavier sleepers (those over 150 pounds) the mattress presents with a greater level of sinkage and contour as well as a greater hug feel. With many attractive features, the unique material composition of the Purple responds and supports body weight effectively. Keeping in mind that the heavier parts of the body will obviously and naturally sink into the mattress more, they will also be supported naturally by the unique transitional support layer of the Purple. This affords sleepers pressure relief needed and provides a much appreciated restful and relaxing night’s sleep. The Purple has a wide range of benefits, and certainly one of its most notable features is that of cooling. The specially designed air pockets created from the unique polymer smart grid keep the sleeping surface noticeably cooler. This makes the Purple one of the coolest mattresses for sleeping all year round. For sure, those people who are buying a mattress would want to know whether they’ll have the feeling of sinking into the mattress or have the feeling of lying on top of the mattress. In order to get a better idea of how much sinkage can someone may experience when lying on the Purple, four balls of different weights, sizes, and densities are placed on the mattress to find out how much they’ll sink to the surface. The result is, a 6 lb medicine ball has 1 inch of sinkage, while a 10 lb steel ball has 2 inches of sinkage. A 50 lb medicine ball has 4 inches of sinkage and a 100 lb steel ball has 5.5 inches of sinkage. Since sinkage is completely dependent upon weight, it will obviously vary depending upon the weight of individual sleepers. The bounce exhibited with the Purple is unique in and of itself. The polymer material affords a bounce much like that of a latex mattress. Motion transfer is something to consider when buying a new bed. While it is not an issue for a wide range of people, light sleepers need a product that does not interrupt their sleep cycle when partners or pets jump into bed. Purple performs well in this category. While the memory foam products are the industry heavyweights in this area, it has minimal movement to other parts of the mattress. The Purple, like many foam mattresses, absorbs motion easily, thereby causing little to no disruption from your partners moving. Talking about disruption, the mattress has also a light powder coating of a non-toxic proprietary powder material that helps to minimize any noises that the polymer may possibly create. Edge support is typically best in innerspring mattresses and those with reinforced edges. For bed-in-a-box products, there is more compression. There are two types of edge support to be mindful of when choosing a mattress. The first is while sitting and the second is while sleeping on the edge. You may notice compression while sitting on the edge, which is to be expected. There may be compression while lying on the edge, but you should never feel like you will roll out of the bed and remain comfortable and supported. Good, strong edge support is important when you sit on the edge of a bed to change your socks – and, it keeps you from accidentally rolling out of bed, at night. Unfortunately, edge support is one area where the Purple mattress falls down a bit. Quite a conforming mattress, the Purple easily molds and contours to your body. The Purple has a thickness of 9.5 inches and consists of three layers of foam and hyper-elastic polymer materials. The first thing to note is that there is no memory foam in this mattress. That’s a good thing because memory foam tends to hold heat and are prone to permanent indentation. Memory foams also tend to contain VOCs and other chemicals. The foams in this mattress are made from 100% non-toxic, food-grade material. The materials are also hypo-allergenic and anti-microbial. Let’s take a look at the individual layers and their role in giving you the perfect snooze. There are two pivotal components to Purple’s construction, the cover and the layered foams. The cover plays an important role in the comfort provided by any mattress. In the case of Purple Mattress, however, the cover is integral to how well the mattress does its job. First off, you will notice that Purple’s cover is very soft, stretchy and cool to the touch. The cover is a made from a blend of polyester (69%), viscose (27%) and polyester-lycra (4%). This blend gives it a uniquely soft and stretchy texture, which is required to let the elastomer polymer top layer do its job. It is also very breathable. Although the cover is removable, they do not recommend using a washing machine to clean it unless it is absolutely necessary (spot cleaning is better). If you have to wash it, then use the cold cycle and hang or lay it flat to dry. The materials used in the cover will shrink if cleaned the wrong way. On top of the cover, the company recommends using a stretchy mattress protector to keep the cover from getting dirty. Another recommendation the company makes is to use stretchy top sheets. These also work better with the hyper-elastic polymer top layer of the mattress. Other sheets may not allow you to enjoy the full pressure-relieving benefits of the mattress. Purple sells bamboo-based sheets that are designed to work with their mattress. They have the same stretchy characteristic of hyper-elastic polymer and are more breathable than most other sheets you will find in the market. The Purple mattress has mainly 3-layers of foam. Hyper-elastic Polymer (2 inches). This is the most innovative component of the mattress, borne out of years of research and decades of experience. As we mentioned, the special cell structure of the polymer is what makes it so special.The top layer is focused on two essential things: comfort and pressure relief. It stays cool, distributes your weight evenly, avoiding uncomfortable pressure points.When you lie on a Purple mattress, the open-celled top layer adjusts itself to your weight and to the different parts of the body in contact with it, differently.If you sleep on your side, for example, your hips exert more pressure on the mattress than your legs. The open-cell design of the hyper-elastic polymer provides pressure-relieving sinkage at each pressure while leaving the rest of the mattress firm and supportive.This selective reaction is what makes the Purple Mattress so soft and comfy on top. While other mattress brands offer a choice of soft, medium and firm comfort levels to suit different types of sleepers, Purple only provides one comfort level that works remarkably well for many types of sleepers.It honestly delivers a luxury comfort level that you might expect from $3,000+ mattress. Polyurethane Foam (3.5 inches). Aside from the top layer, the Purple Mattress is built like most other conventional foam mattresses. Purple uses polyurethane foam for it’s as a transitional support layer. It provides firm support under the top layer, while also providing grip and stability for the looser, softer elastomer top. This layer gives the mattress its shape and support. It keeps the top layer from sinking too much even if the sleeper is heavy. This layer also plays an important role in maintaining free airflow, which ensures the surface of the mattress remains cool and moisture free. High-density Polyurethane Foam (4 inches). A thicker layer of high density polyurethane foam forms the foundation of the Purple Mattress. The layer is designed to provide foundational support, primarily to maintain the shape and structure of the mattress over time. It is this layer that keeps your mattress working well, for years. Unfortunately, Purple is a really new mattress, so we can’t know just how effective it is at doing that. But Purple is breaking no major ground with their foundation layer, so it’s a good bet this mattress will last as long as any other quality foam mattress. The purple mattress is strongly constructed, and it boasts of three layers as stated before. Also to that, the purple mattress thickness is 9.5 inches. The materials used to produce it include polymer and foam. It is certain from the purple mattress material that this brand is a durable product. Because of the sturdy construction, it does not disappoint. You will get value for your money. The purple mattress is one of the most popular and number one mattress in the world. This mattress has three layers which ensure quality and the most innovative products on the market today. The mattress is not only affordable, it is a well-handcrafted mattress and has the best features. It is comprised of the hyper-elastic polymer. This means that the three layers are composed of superior quality foams and polymer. The mattress arrives at you vacuum sealed or compressed and it expands when it is opened. Let’s face it, getting the right mattress is of the utmost importance. 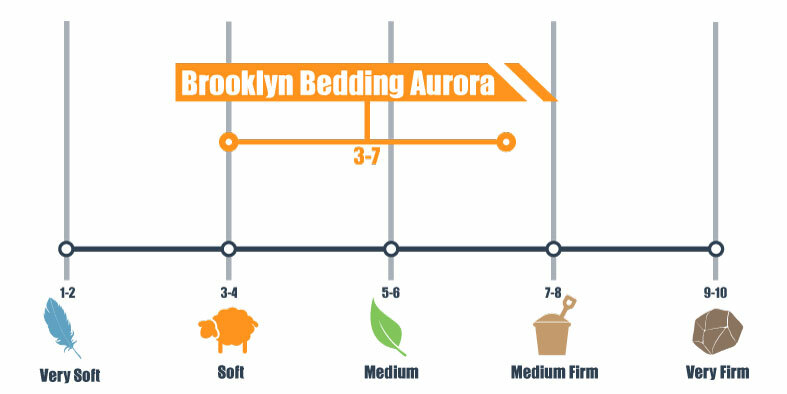 Thus, it’s very important to know the mattresses dimensions to help you decide a lot easier. Purple mattress is available in Twin XL, Full Double, Queen, King, and California King Sizes. To help you out, read the guide below. The full mattress is also sometimes called the Double. A Full size mattress is 54”W x 76” L. This size mattress may also be referred to as a “standard double.” For single active sleepers who like to sprawl out or couples who have a small bedroom, a Full size mattress may be suitable. A Full or double size mattress may be a tight squeeze for couples who share the bed with children or pets. IA King size mattress is 76”W x 80”L. This mattress is extremely comfortable for single active sleepers as well as couples who share a bed with children or pets. To comfortably fit a King size mattress, it is recommended that your bedroom be at least 12’W x 12’W. Considering the high-quality materials used and the way Purple mattress feels, rest assured that you’ll get a premium mattress at a great value. If you are ready to order one, the table below displays the various prices for the different Leesa mattress sizes. The mattress does fare well in comparison to other foam mattresses that are more costly. With impressive consumer ratings on comfort, construction, cooling, support and overall satisfaction, the Purple is a very good buy for the money. Is Purple mattress actually a good value? Well, you can never know the answer unless you buy and try it yourself. With high-quality materials, Purple is a great option for a luxury mattress for all type of sleepers. Purple mattress is one of the few mattresses with firmness options that has a beautiful look, sturdy cover & tufting. Purple also offers free White Glove delivery service, including old mattress removal. Purple offers a truly quality product at a lower cost. A mattress that is soft where you want it, and firm where you need it, its combined hyper-elastic polymer layer and two layers of polyurethane foam, affords consumers a feel like no other. The purple mattress reviewed in a bedroom with greater levels of support, comfort, bounce, and incredible cooling, the Purple fares well above average when it comes to relieving pressure points and minimizing motion transfer. It appears that the company offers life on the Purple mattress. The company offers up to 10 years limited warranty on this product. Compared to similar products on the market, you can hardly get this offer elsewhere. This clearly shows that the company is proud of their product. It is expected because of the best quality materials used to produce it. You can hardly get this kind of offer from similar products within the same price range. This clearly shows that you are dealing with a superior quality product. If The Purple® Bed was sold new in the USA by Purple or a Purple-authorized reseller, and is defective due to faulty workmanship or materials, Purple warrants that, at Purple’s option, it will replace or repair The Purple® Bed. This non-transferable warranty is for the original purchaser only and is expressly limited as described herein. Purple undertakes no other responsibility and all other warranties, either express or implied including specifically the implied warranty of fitness for a particular purpose and the implied warranty of merchantability, are hereby waived and disclaimed. This warranty extends from the original purchase date of the original product purchased. This warranty is valid only if the purchaser is an individual who thereafter uses the product for personal consumer use. The warranty no longer applies after any resale of the mattress whether new or used. Original proof of purchase (including date) by the original purchaser, this warranty document, and the law tags from the mattress will be required to make a warranty claim. For warranty service, you are required to preserve these documents during the 10 year warranty period. This warranty applies to the mattress and not to any accessories or other products associated with the mattress. This warranty is applicable only to mattresses in normal in-home consumer use, and specifically excludes any mattress used for a medical patient. Beds replaced due to warranty issues will not be eligible for model upgrades or downgrades. The replacement bed will be the same as the original mattress purchased. During normal, properly supported use, this warranty shall apply only if (i) the materials of construction develop a visible indentation in the mattress greater than one (1.00) inch compared to the surrounding mattress areas after full recovery from load, or (ii) if the materials of the mattress crack, split, or otherwise fail during normal use and normal handling which is in accordance with Purple’s care and use instructions for the mattress (available at www.purple.com). This indentation must be of large enough width and length to be considered a body impression, and only applies to the mattress and not to settling of the cover fiber-fill materials. Purple® Beds are covered by warranty only if they are used on a firm, flat, solid-surface, non-spring foundation (whether non-moving type or adjustable type) sufficiently strong to remain flat and firm under the weight of the mattress and its users, from the date of delivery onward to the date of the warranty claim without interruption; otherwise the warranty is void. Other placement (whether long or short term) of the mattress, including but not limited to foundations of other description, a storage facility in any orientation, or use of a non-sufficient frame beneath the foundation, voids this warranty. A sufficient frame on which the foundation rests must provide sturdy support for both the mattress and foundation and in the case of a queen or larger must have 5 or more legs including a center support. Purple may require purchaser to provide proof of the sufficiency of the foundation and frame and of the constancy since purchase of the support of the mattress and foundation thereon before this warranty will apply. This warranty shall not apply if Purple determines in its reasonable discretion that the mattress or foundation has been damaged, abused, or neglected; it shall be reasonable without limitation to make such determination if the following are presented. Tears, stains, odors, unsanitary conditions, folds, footprints, burns, cuts, or signs of jumping on the bed, rodents, insect damage or other infestation, damage from liquids or gels or blood or bodily fluids or other fluids, or damage from weather or sun exposure. Purple highly recommends the use of a very stretchy, breathable mattress protector because without such protection your mattress may not be clean enough or undamaged enough to have this warranty apply. Please note that a non-stretchy or non-breathable mattress protector (or non-stretchy tight sheets) will negate much of the benefit of The Purple® Bed. For the health and safety of anyone who would be required to dispose of, or otherwise handle, the sleep set, Purple and its retailers or agents may refuse to inspect such products to assess whether covered by the warranty, in which case, Purple reserves the right to deny warranty coverage. Photos may be requested to be sent via internet to Purple. Localized firmness changes are normal and are not covered under warranty. Comfort preferences are not covered under warranty. The mattress must be always covered in use or the warranty is void (UV light degrades cushioning materials). Purple will not charge purchaser to repair or replace purchaser’s mattress if it is reasonably deemed by Purple to be defective according to the terms herein during the first ten (10) years since the original purchase. Any to-or-from transportation handling and costs and inspection costs associated with repairs or replacements are the responsibility of purchaser. The warranty for any repaired or replaced mattress runs from the date of original purchase and not from the date of the replacement. Whether to repair or to replace the mattress shall be at Purple’s sole option. The cover is not part of the 10-year warranty . Purple shall not be liable for incidental or consequential damages arising out of any breach of this warranty or resulting from the use of any mattress, cover, foundation, frame, pillow, top-of-bed product (such as comforters, sheets, mattress protectors or blankets) or accessory. Replacement or repair as set forth herein shall be the exclusive remedy for breach of this warranty. There are no express or implied warranties, including without limitation fitness for a particular purpose and implied warranties of merchantability. The only warranty is the warranty described on the face of this limited warranty. This warranty is not effective if the product is used outside the usa (there may be a separate warranty for non-u.s. products, but be advised that it may not be from purple). Discount Code: Purple believes and claims that they provide their customers with the highest quality luxury mattresses at the best possible value. Their business model allows customers to price Saatva’s products at levels substantially lower than similar mattresses you would find at a retail store. They make buying amazing luxury mattresses affordable. Currently Purple is offering FREE sheet when you also purchase a Purple mattress. Click here to grab that offer. There is no expiration, it will be active for a few months at most. In the long run, they may have something similar (perhaps a free Purple pillow) coming up in the future. Delivery Offers: The Purple is available in Twin XL, Full, Queen, King, and California King Sizes. Its weight varies, depending upon the size. The good news is that they now offer free shipping to the 48 contiguous States. There is an additional fee to ship to Hawaii, Alaska, and Canada. Shipping for the Purple mattress is free. The mattress arrives in great packaging and it is sending in a sturdy compresses packaging. It fitted with convenient handles, because of that, you do not find it difficult to take it to your room or any other place you want to use it. Moreover, unpacking it is not difficult. When unpacked, set up is equally easy. It does not take time before it arrives at you. Purple offers an industry-standard 100-night in home trial. Purple asks that you sleep on their mattress in your home for at least 30 nights, before deciding to make a return. This is to allow your body to adjust to the new mattress – especially if you have been sleeping on a not-so-comfortable mattress. If at the end of the 30 nights you still do not like the mattress, you can initiate a return. Because the mattress cannot be put back in the shipping packaging, the company will send someone to pick it up and deliver it to a local charity. You may then choose to receive another mattress, store credit or cash. Contact the company or visit their website for details. Purple offers a platform base that is designed to work perfectly with its state of the art mattress. However, it is not necessary to purchase the platform base as long as your Purple is set up on a sturdy surface. A box foundation, an adjustable bed frame, slats that are at least 3 inches apart or even on the floor itself will work. As you can see, it’s a very simple process. Perhaps the hardest part, when it comes to unboxing the Purple mattress, is the cutting off of the first layer of thick plastic, where you should cut through a zipper and straps as part of the process. You can either use a cutter or a pair of scissors. The biggest thing to remember during the unboxing process is to not cut the mattress. As long as you avoid puncturing the mattress, you can’t mess up the process. Some people have mentioned an off-gassing smell, or baby powder smell, upon opening Purple. Actually, it had less smell than most of the mattresses in the market. Off-gassing is the release of particles/gas into the air from products. In some cases, they can be dangerous. Foams, including those used in mattresses, are known for off-gassing. One of the biggest worries customers have when buying mattresses is that they will give off a bad odor or emit toxic fumes. These gases, known as volatile organic compounds or VOCs, have been associated with various health problems including cancer. Like any new mattress, the Purple Mattress does emit a faint “new foam” smell. But the gases emitted are not toxic, at all. In fact, most people will not notice it. We detected a faint odor for a few hours, and there has been no long-term residual odor. If you are really sensitive to smells, try leaving the mattress standing upright and uncovered in an airy room for 24-48 hours. Purple’s science-driven approach to their product has established the brand as a unique contender to customers. Their Hyper-Elastic Polymer™ grid has the right amount of pressure relief and support to cater to a wide range of individuals. Its temperature-neutral material and grid-like structure help keep sleepers cool all night. Moreover, the purple mattress is perhaps the most comfortable mattress you can lay your hands on the market today. Its top layer is uniquely constructed and that is why it dissipates any pressure, which you can have the bed and the body of the user. This shows that this product is highly comfortable. It has three layers, the middle and bottom layers support the top layer to maximize the comfort users get when they use this mattress. Because of the unique comfort level, the mattress ensures a restful night for its users as you can see from reviews. To make it more comfortable it isolates motion transfer, which is a common issue with many mattresses. Users feel minimal movement when they use the product. This means that there would be no disruption and interruptions during sleep. The company compares their queen model to other $4,000 brands on the market (view all the mattresses we review), making it a substantial savings for people who want a quality bed for a reasonable price.